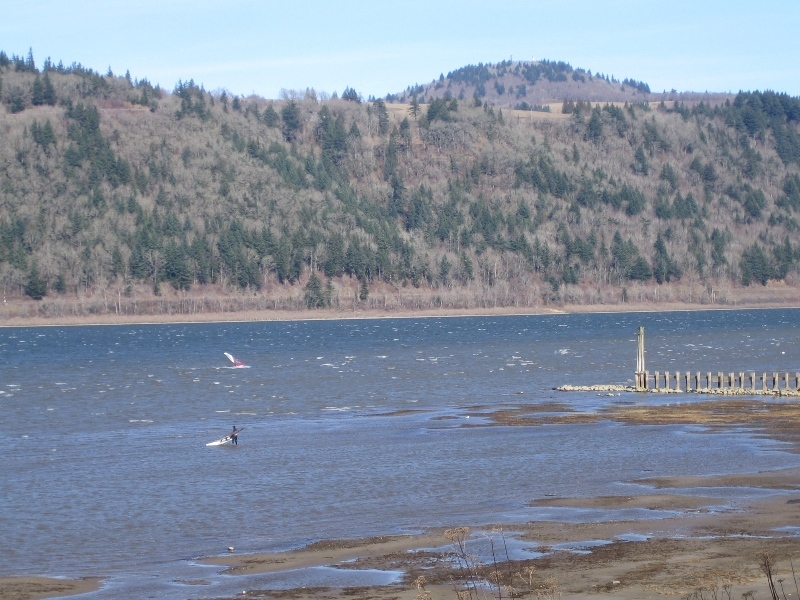 iWindsurf Community :: View topic - Anyone sail the gorge east wind today 1-17-08? 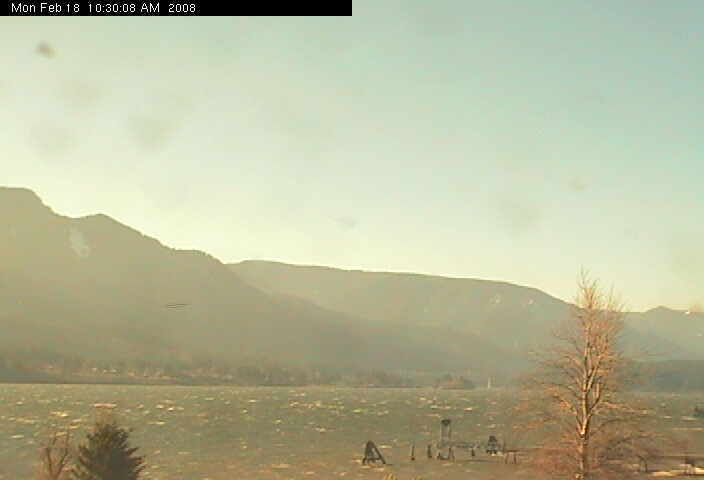 Anyone sail the gorge east wind today 1-17-08? Posted: Sun Feb 17, 2008 10:47 pm Post subject: Anyone sail the gorge east wind today 1-17-08? If so was it any good? How about tomorrow? It's been a couple months and I am jones'n. might do Rooster or stevenson monday (presidents day) for a quick lunch time session. Wind pattern at Stevenson was way outta the north early yesterday.... easliy 3.7 on the Oregon side, alright swell up by the channel marker, but 5.2 on Wash side.... then wind shifted in the afternoon to 4.7 - 5.2 conditions but not much swell. I sailed very powered and relaxed at noon with a 4.2, although I stayed on the Oregon side. Today is looking much better at Stevenson ... wind has filled shore-to-shore with easily 3.7 - 4.2 conditions right now, probably will go higher..... Rooster might be a bit over the top today. looks windy....thanks for the info...wish i could have made it from PDX...always being held down by the man. Guess I was sailing with WMP and didn't even know it. Yesterday I was on a 5.1 & 87L board... seemed perfect. Ditto to what everyone else said, temps fine accept on the hands, but it was still a great day. Today looks insane, but I bet there's a few resolute souls out there! Good turn out at Rooster on Sunday - about 10 of us out there. I was on 4.7m for a while, then the wind really came up. Water was cold, but very comfortable with the warm air temp. 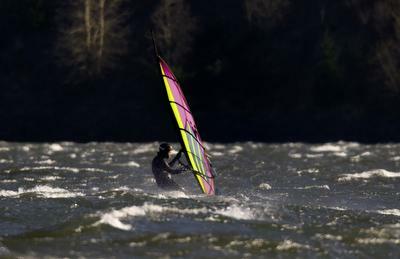 In today's oregonian by John Givot, sailor unknown? Not really a pic that captured the moment... looks like it was taken later on in the afternoon when the wind backed off, end of sesh.... no spray. Also, would have been nice to see a wider angle with the snowy mt. peaks. Oh well... guess it filled some space on the paper.